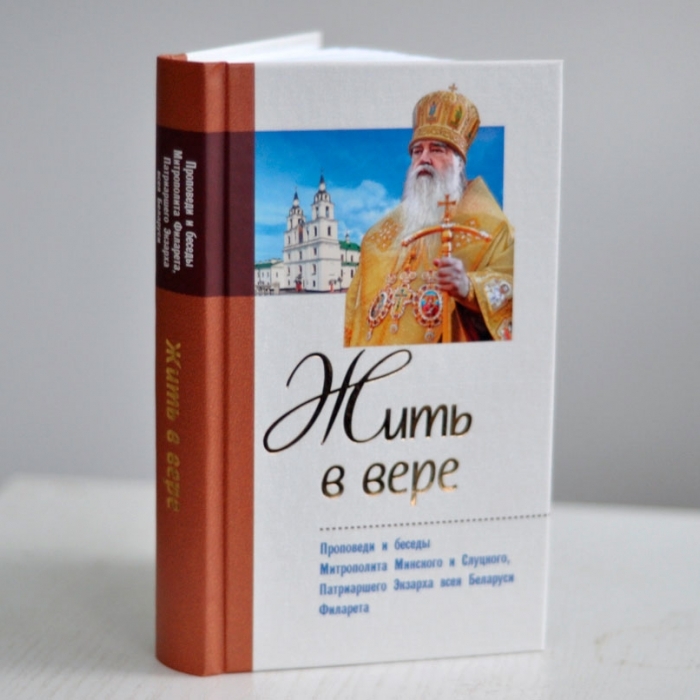 MINSK, 11 December (BelTA) – The Homiliary, Living in Faith, written by Metropolitan Filaret of Minsk and Slutsk, Patriarchal Exarch of All Belarus has been published by the Belarusian Orthodox Church printing house to mark the 35th anniversary of the Metropolitan’s service in Belarus, BelTA learnt from the Belarusian Exarchate. The book can be considered a vast section of a true church life reflecting the Metropolitan’s many-year experience of service, the church said. The bishop became Metropolitan of Minsk and Belarus in October 1978. The Exarchate was founded in Belarus in 1989. The Synod of the Belarusian Orthodox Church took a decision to celebrate these dates on 12-15 December 2013. The commission in charge of organizing the celebrations is led by Archbishop Guriy of Novogrudok and Lida, Chancellor of the Belarusian Exarchate. According to the Belarusian Orthodox Church, apart from the foundation of the Exarchate in October 1989 there were set up new eparchies in Mogilev, Pinsk and Polotsk.